When TC and his mate Lockie discover that Mrs Mucci, Warners Creek champion pizza maker, has lost her dog, Polpetta, they are on the case. 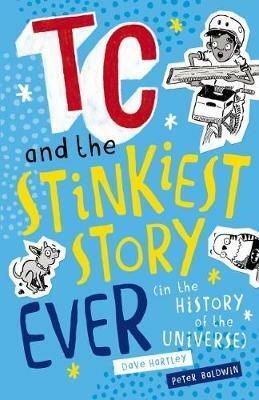 Lockie comes up with the brilliant, but stinky, idea for the two to become poo sleuths. It might be stinky, but it’s worth it when the reward is a years supply of pizza. With a bit of help from his mob, Nan and Pop, TC is on the trail of the missing dog, but when cranky Old Man Thacker begins chasing TC and Lockie, things get pretty hairy. And then the madness really begins.